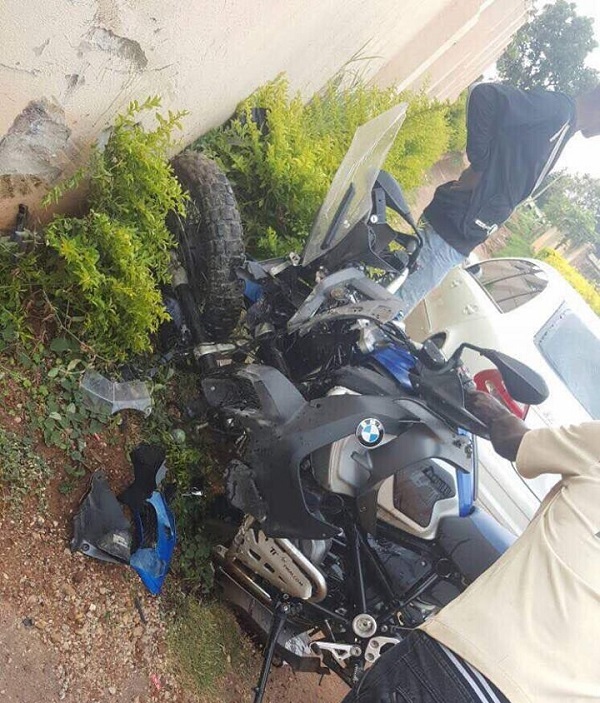 The bike that almost left SK Mbuga for the dead is a BMW R1200 GS, it comes fitted with a flat-twin boxer engine that allows it to explore the most remote corners anywhere in the world. 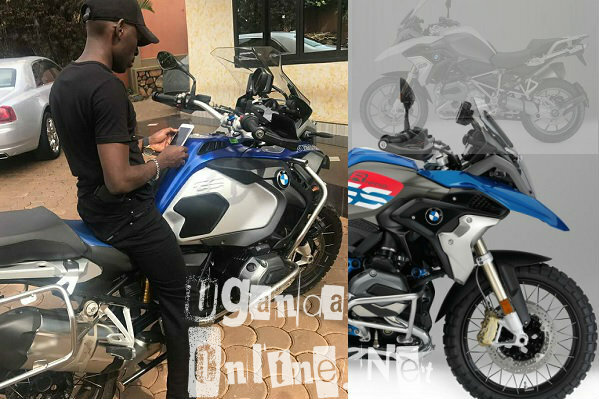 The R 1200 GS is loved by motorcycle fans all over the world and for many years, it's been the top seller among the BMW models. The bike offers two riding modes, the 'Rain' and 'Road' plus so many buttons that allow different modes, chances are SK activated wrong buttons. 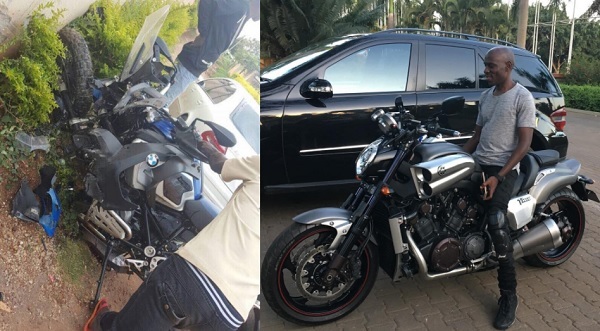 It's a 1,170CC bike implying that it's more powerful than a VItz of 1000CC. 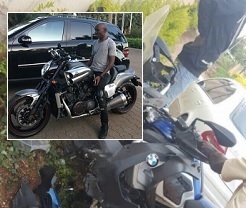 Many are familiar with boda-boda's that are all over Kampala, those boxer and bajaj bikes are 125CC's implying that Mbuga at the time of the accident was riding 9 boda bodas in one.